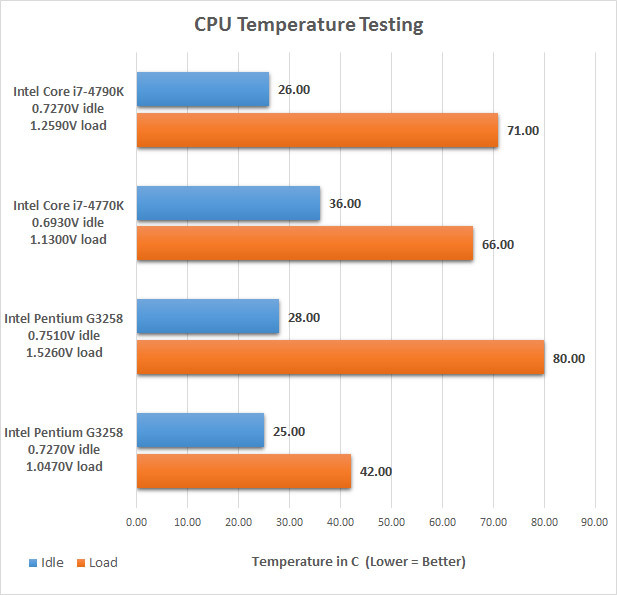 The Intel Pentium G3258 Anniversary Edition Processor DOES NOT use Next-Generation Polymer Thermal Interface Material (NGPTIM) like the Core i7-4790K Devil’s Canyon processor uses, but we were still interested in seeing how hot the chip gets. We took a look at idle and load temperatures on the processor with Gelid Extreme Thermal Compound on the Corsair H105 Closed Loop Water Cooler. 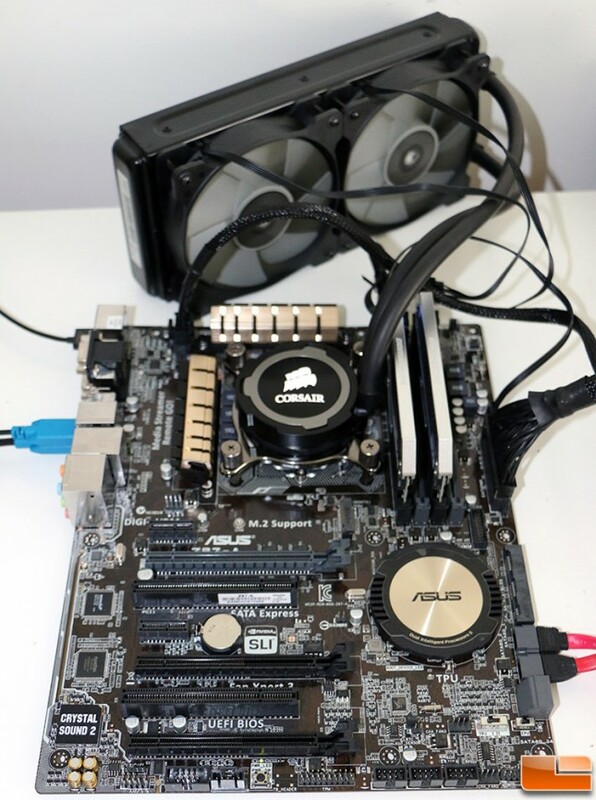 With the Intel Pentium G3258 processor sitting on the desktop at an idle we observed an average CPU core temperature that bounced around 25-28C and the voltage was at 0.7270V. We ran a run of POV-Ray 3.7 across all the CPU cores and saw that it the processor temperature topped out at 42C and was using 1.0470V. 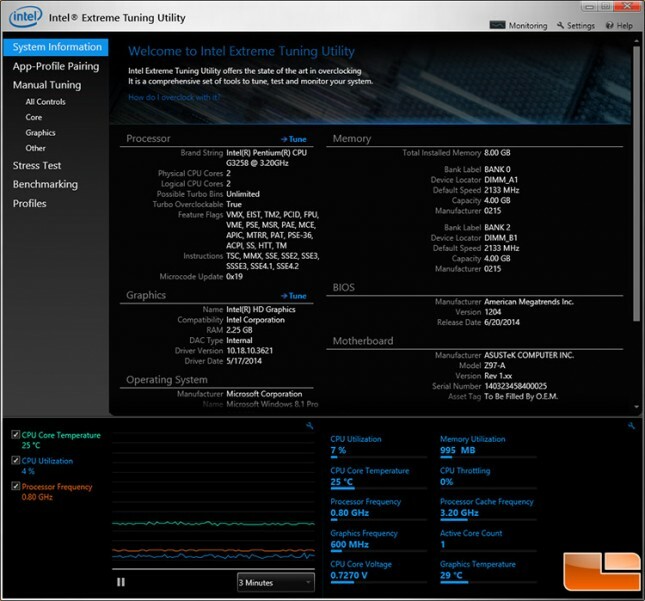 We used the Intel Extreme Tuning Utility v4.4 to monitor the temperatures. So, on our system with the Corsair H105 water cooler along with Gelid Extreme Thermal Compound we were running 25-28C at idle and hit 42C at load. When the system was overclocked up to 4.8GHz we noticed a slight temperature increase at idle and nearly twice as high at load!